Snow is an important component of the climate system and a critical storage component in the hydrologic cycle. However, in situ observations of snow distribution are sparse, and remotely sensed products are imprecise and only available at a coarse spatial scale. 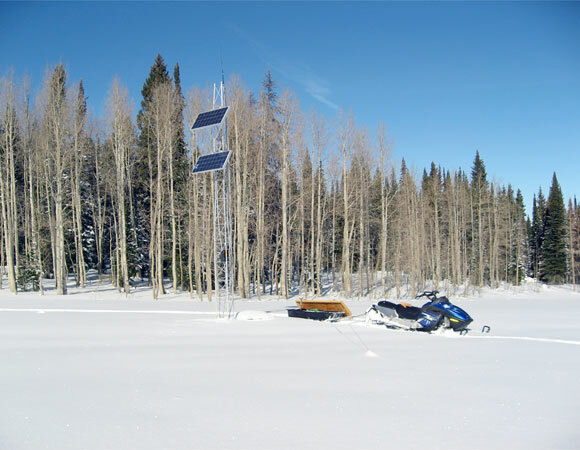 While GPS geodesists have long recognized that snow can affect a GPS signal, it was only recently shown that a GPS receiver placed in a standard geodetic orientation can be used to measure snow depth. 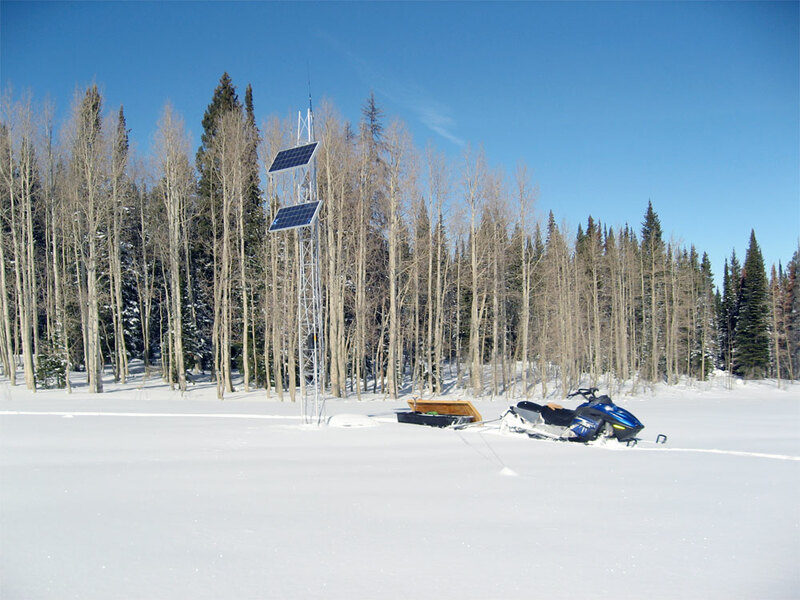 Results for two snowstorms in Colorado show strong agreement between GPS snow depth estimates, field measurements, and data from ultrasonic snow depth sensors. At most sites, a GPS antenna will sense a circular region of radius ~50 m, or 7500 m2. Hundreds of geodetic GPS receivers are operating in snowy regions of the U.S. 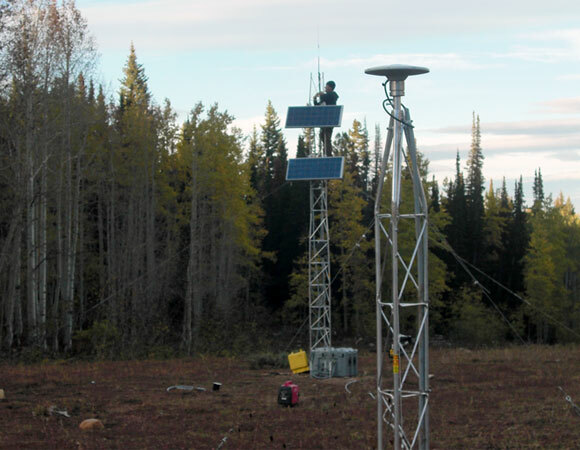 These receivers were installed and are currently maintained by government agencies for plate deformation studies, surveying, and atmospheric monitoring. This existing network could be used to also estimate snow water equivalent (SWE) over a large spatial footprint on a daily basis for hydrologic, climate, and ecology studies. In order to use existing GPS sites to measure SWE, the method must be developed further. In addition, errors must be evaluated to establish the underlying uncertainty in using GPS as a snow sensor. 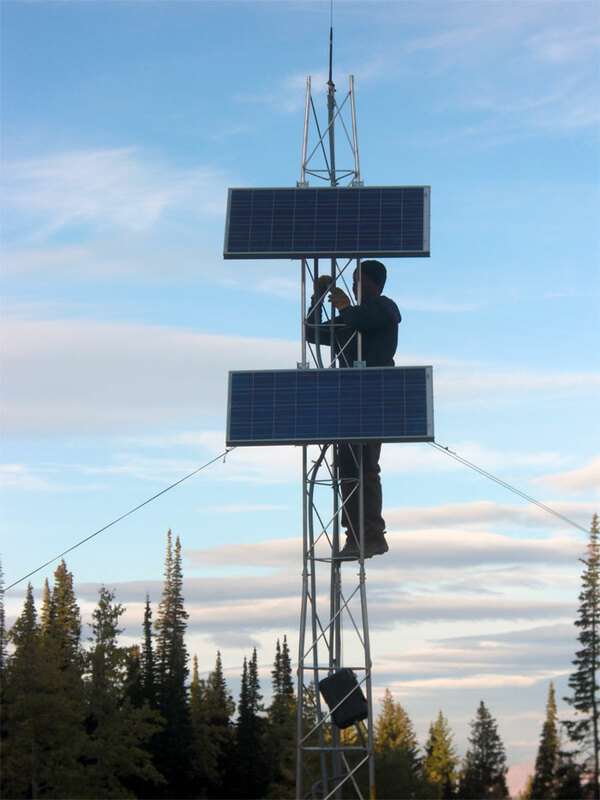 Develop an electrodynamic model of snow effects on GPS data and an algorithm to estimate SWE. Evaluate the sensitivity to snow of the receivers and antennas currently used in the U.S. Develop a model to flag GPS data corrupted by snow/ice effects on top of antennas; model these effects to improve positions for volcano, tectonic and atmospheric studies. Improve the utility of other hydrologic products derived from GPS, such as soil moisture and hydrologic loading. Develop a low-power and low-cost GPS system to measure SWE. Figure 1. GPS station RN98 (Doc's Meadow) with equipment enclosure and power system in the background. Due to snow depths up to 9' the antenna and solar panel have to be mounted < 9 feet. Figure 2. 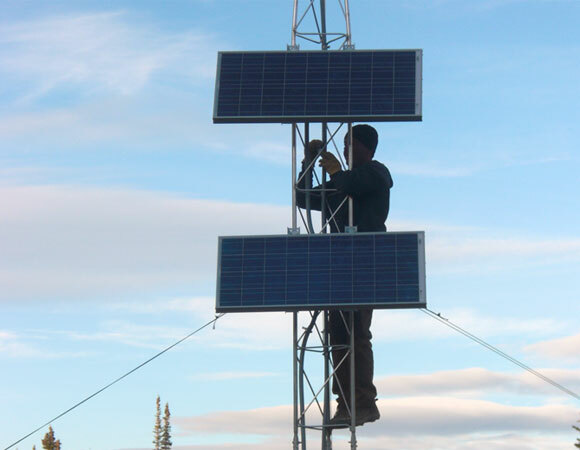 Abe Morrison (UNAVCO) adding in the final touches to the solar array. Figure 3. GPS station RN98 (Doc's Meadow). Antenna height is 9' due to the snow depth that occurs in this area. Figure 4. Site visit early December 2011 to install cellular modem. Snow depth is approximately 54cm. 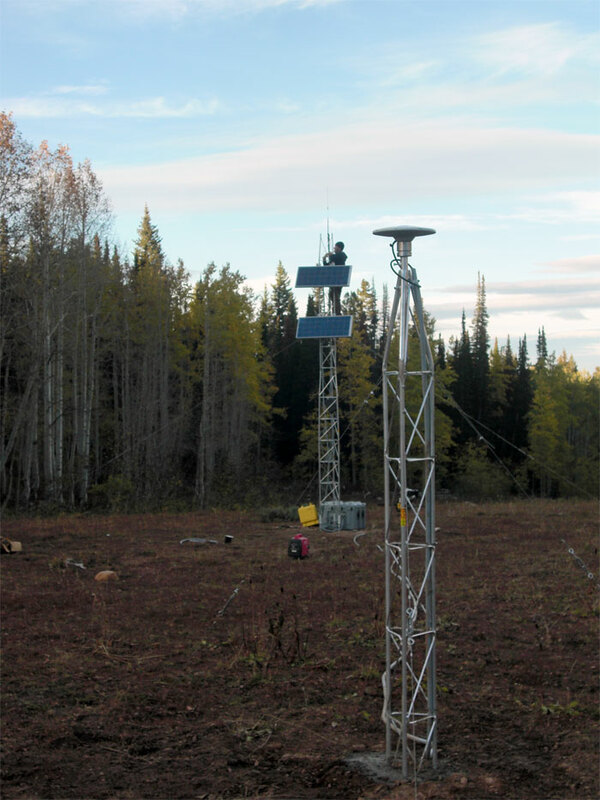 This research will benefit society by providing SWE for climate and hydrology studies. This will improve forecasts of floods and droughts, hopefully mitigating the negative effects of these natural hazards. Operational improvements in these areas are directly linked to the U.S. economy and public safety. The dataset will also help validate future satellite missions. This project leverages existing infrastructure by using GPS receivers installed by the NSF Earthscope program to study plate boundary deformation, at a cost of ~65 million dollars. Ongoing NSF investments in operations and maintenance for these GPS receivers will also be leveraged to support the hydrology, climate, and ecology communities. Partnerships will be formed with existing NSF sponsored undergraduate internship programs for underrepresented students. Graduate students will be trained in an interdisciplinary educational program. This proposal meets the EAR-IF program goal for the development of new instrumentation, analytical techniques or software that will extend current research and research training capabilities in the Earth sciences. It will benefit EAR (hydrology, Earthscope, geophysics, and tectonics), ATM (climate), BIO (NEON), and Polar Programs. 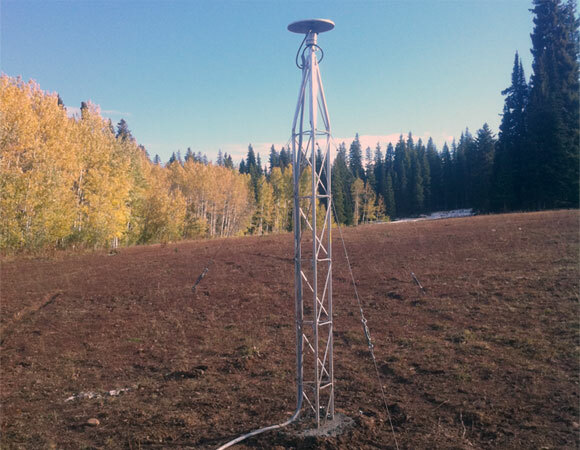 This project is collaboration between GPS geodesists, hydrologists, snow and climate scientists, and electrical engineers. 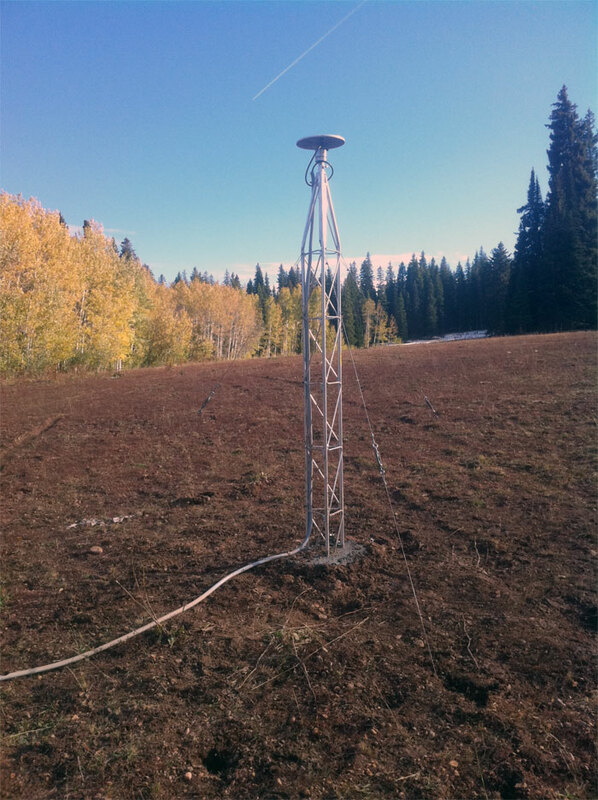 Three snow calibration sites will be developed in Colorado: Marshall (NCAR); Niwot Ridge (LTER); the USU Experimental Forest. In each case partnerships will be made with existing research efforts and government agencies, allowing the comparison of daily GPS measurements with regular snow depth and density measurements.